and as such reflects business prospects. 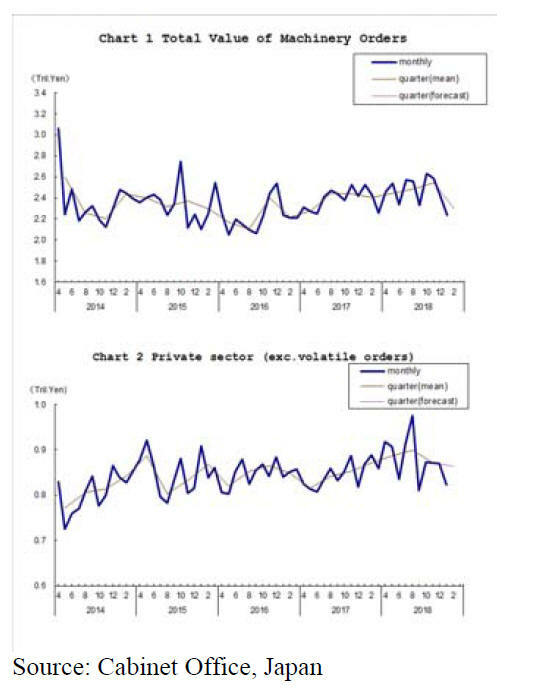 end of 2018 signalling a technical recession. mood to agree it appears. specific on how much companies should raise wages. necessary to drive up inflation. 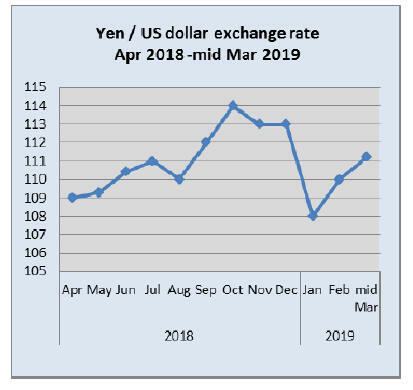 the lowest level since November 2016.
the consumption tax will be raised in October this year. US dollar despite the recessionary news. led to a core meltdown. according to the National Police Agency. 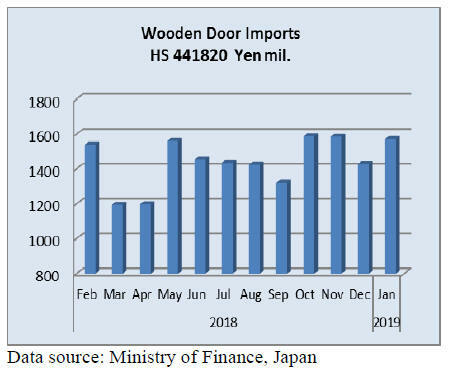 Japan Lumber Report extracts on page 14. (18%), Indonesia (7%) and Malaysia (5%). 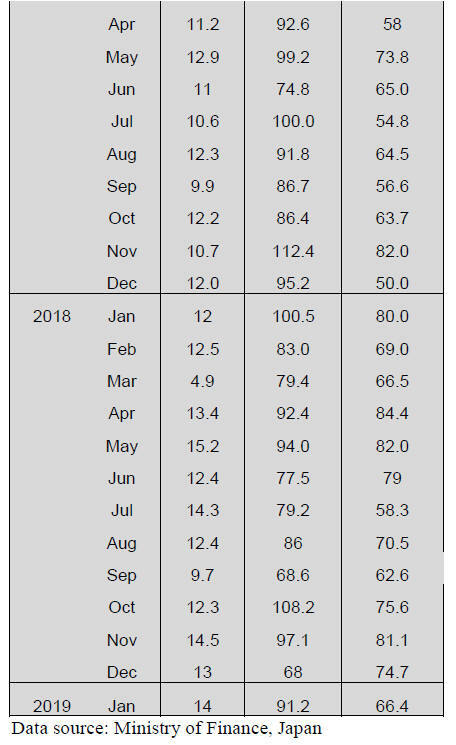 but, month on month the value of imports rose 25%. 61%, 12% and 11% respectively. compared to a month earlier. 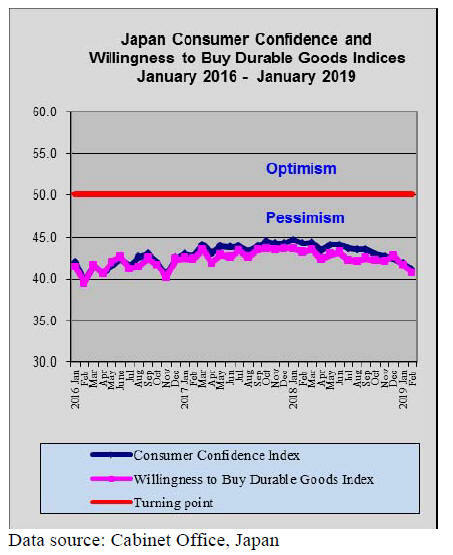 that the demand for building materials decreased. lumber decreased from both Europe and North America. volume in last ten years. out of one large Douglas fir sawmill. state of Sabah, Malaysia as supply source moved to PNG. Decline of Russian log import continues. by sending out questionnaires. This is the fifth survey. points more than previous survey. domestic wood by precutting plants is 33%, 1.5 points up. lumber and plywood but use for other members decreased. wood lumber on both house builders and precutting plants. less while laminated lumber is 63.4%, 24.8 points more. cedar laminated lumber, increase of more than 1.7 times. redwood laminated lumber in 2017.
first time to hit over one million cbms. this pushed total up in 2018. 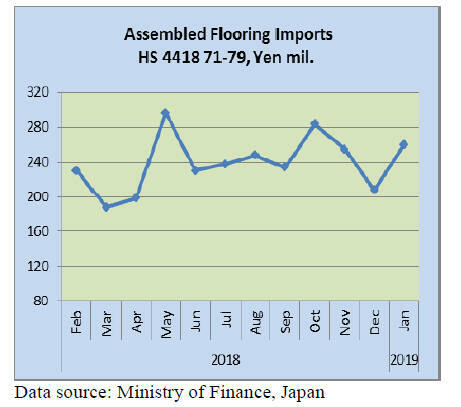 As to lumber export, total was 145,995 cbms, 12.3% more. more also contributed the increase. 83,466 cbms of cypress logs, 40.1% more. exported to China are processed and exported to Korea. 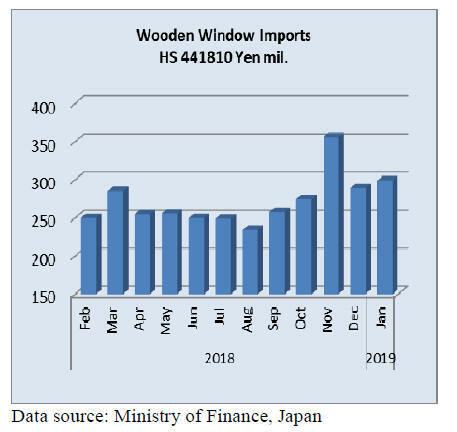 Lumber exporst of cypress to Korea also dropped by 4.5%. next to China and Philippines. plywood was 3,088,100 cbms, 0.8% more. Imported plywood was 2,923,000 cbms, 0.7% more. production exceeded over 200 M cbms for the first time. Indonesia was 977,500 cbms, 11.4% more. 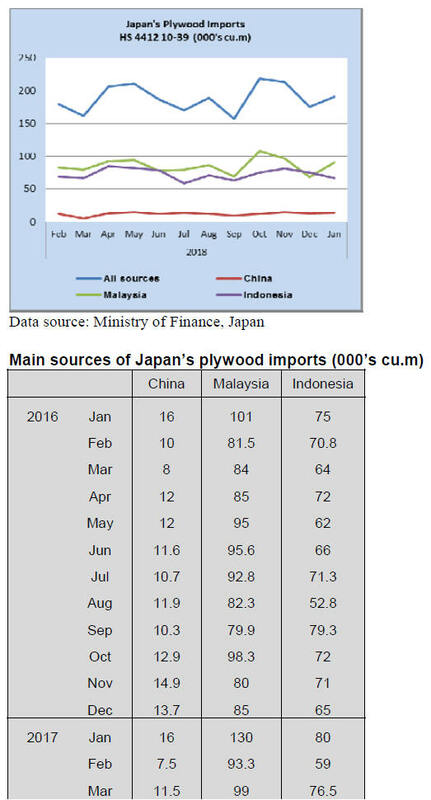 of imported plywood will drop this year. 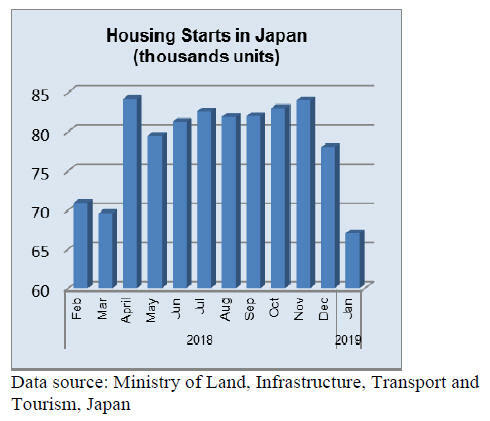 demand recovery but by dropping inventory in Japan. the amount is allocated in 2019 budget. renovation. Contract needs to be made by March 31, 2020.
deduction amount for ten years is about 2.69 million yen. is large, 2% tax increase is easily offset by this measure.